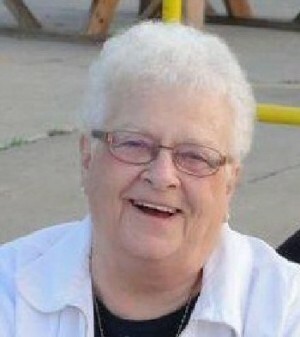 FULTON, NY – Roberta A. Bailey, 75, of Fulton, died Sunday June 10, 2012, at St. Joseph’s Hospital in Syracuse. A native of Clayton and Depauville, she had resided in Fulton since 1965. Roberta retired after 20 years as a school bus driver for special needs students in the Fulton Consolidated School District. She was predeceased by her husband, James Bailey, in 1994; and sister, Sally Charlebois. Surviving are her children, Peter (Sean Rowley) Bailey and Gregory (Lisa) Bailey all of Fulton and Lisa (Chuck) Duello of Burleson, Texas; seven grandchildren, James, Jacob, Gabriella, Rebecca, Sara, Emily and Carly; a brother, James (Gerry) Charlebois of Lewisville, Texas; a sister, Gretchen Johnson of Oklahoma City, Okla.; and many nieces and nephews. Services will be held 9:30 a.m. Saturday at Holy Trinity Church, corner of Rochester and South Third streets, Fulton, with burial at Fairdale Rural Cemetery in Hannibal. Calling hours will be 4 to 7 p.m. Friday at Foster Funeral Home, 910 Fay St., Fulton. Memorial contributions may be made to Parents of Special Children, Inc., 2 Towers Drive, Suite C, Fulton, NY 13069. You all have always been good friends and neighbors. Bert was a friend and a neighbor for many years as well as the “second” mom to my kids growing up. Bert & daddy Jim are together again which should bring some peace to your hearts at this time. We will miss her smile and her unique laugh. God Bless. So sorry for your loss, my thoughts and prayers are with all of you at this time. She was a very special lady! She will be missed.